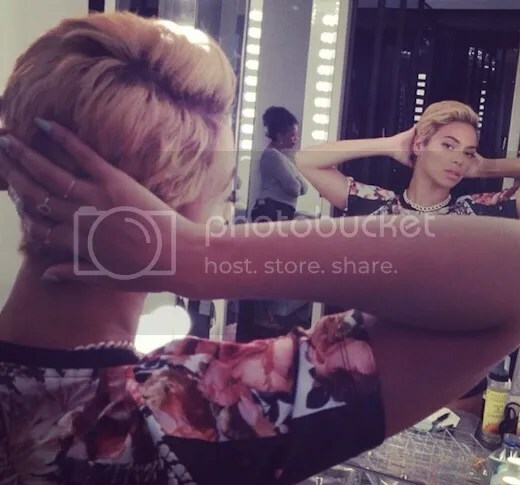 Unless you’ve been living under a rock this week, you know that Beyonce has decided to chop off her locks and is now rocking a short hairdo. While we know that Beyonce typically dons hair weaves and wigs atop her natural hair, it was a big change from the norm. Even with all of the newfound excitement for women going natural, Beyonce still received so much negativity for her new hairstyle. Commenters have spewed pessimistic comments like, “We all know that all Beyonce did was take out her weave” and “Beyonce didn’t have any hair to begin with.” Why such negativity? Even if she did just “take out her weave,” why are people acting so childish? Although I love Beyonce, she is just a normal human being. Her cutting her hair is just like anyone else cutting their hair: a change of pace. In addition to some women commenting that she was probably bald to begin with, some men were participating in the negativity, saying that she looks “masculine.” While that is only an opinion of some commenters, many other men think the same way. Growing up, my dad always taught me that long hair was a characteristic of a beautiful woman. I love my dad, but he was definitely incorrect. Hair does not make women beautiful. Currently, I rock a short shoulder-length coif and I think I want to go shorter; I’m too scared though. However, there are plenty of women who wear bald heads and are some of the most beautiful and confident women I know. There is nothing wrong with women who choose to chop off their locks. Once again, hair does not make women beautiful. What Beyonce did showed courage and confidence. Society’s standard of beauty for women always includes having hair, but Mrs. Carter challenged that when she posted that picture. As one of the most successful artists in the world, Mrs. Carter dared others to be risky with their looks. Beauty is fluid, and hair grows back. Beyonce, along with tons of other women worldwide, has proven that.